Well, as i have a previous design "dual rhombic pyramid this is 3 rhombic pyramids merged each other. 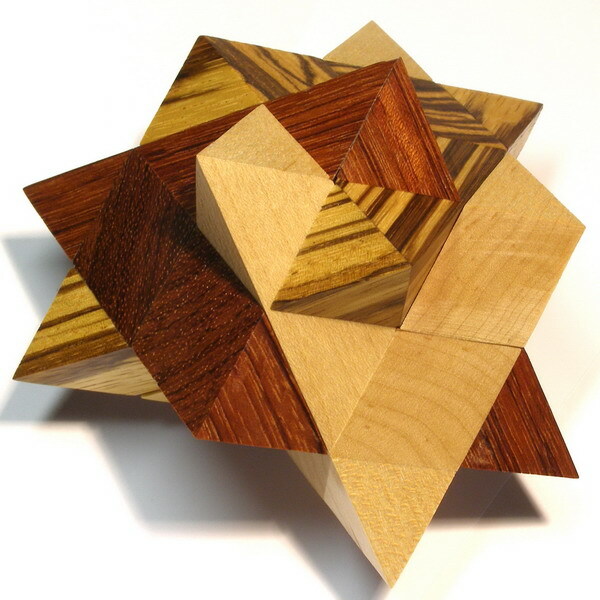 The pieces are dissimilar and It is not a hard puzzle to solve especially with the 3 different color woods guiding you. It makes other shapes too but the right solution has only one sliding axis. See more pics of the "Triple rhombic pyramid" puzzle.or Back to puzzle index.